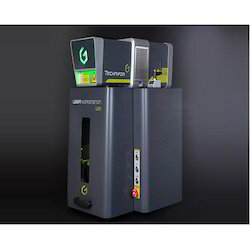 Our product range includes a wide range of hybrid laser marking machine, green laser marking machine, co2 laser marking machine, laser marking lw2 station, laser work station series 2 and laser work station series 1 engraving machines. Focal Protection Dual Protection Against Scratches and Deposits. Aluminium Protective Ring Against Shocks. With the highest peak power in the range, Hybrid Laser Marking Machine provides contrasted marking on a range of materials.The high-quality beam is particularly effective on plastics. 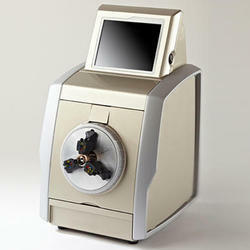 Its all-in-one design minimizes integration costs and facilitates its use. This laser system guarantees reliability and high returns. very precise settings to adapt the marking result to each application and type of material. The marking outcome is very contrasted. All the communication tools natively available to communicate with your environment. Focal Protection Dual Protection Against Scratches and Deposits. Aluminum Protective Ring Against Shocks. 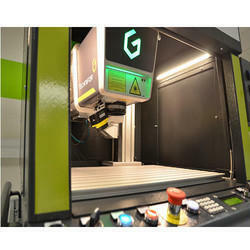 Green Laser Marking Machine uses the 532 nm wavelength to offer an ultra-fine laser and very soft marking on parts. From the most diverse plastics to the most reflective metals, it marks materials which react poorly or not at all to other infrared wavelengths and does not alter the material. Cold marking: Very careful, the ideal solution for marking soft materials and sensitive components. Micro marking: Small 2D Data Matrix codes, very detailed logos, precise removal of thin layers of coating and its ultra-thin beam generates exceptional marking quality. Unique: Marks materials that are not reacting or reacting poorly to other infrared wavelengths: from raw plastics to the most translucid, reflective metals (copper, silver, gold) and ceramic etc. Industrial Head IP54 Protection Against Dust and Projections of Oil, Water, etc. CO2 Laser Marking Machine encodes all your information on a variety of materials (from wood, rubber, leather, glass, ceramic, plastic, PET, painted metal and anodized aluminum etc). It is used for numbering, barcodes, 2D Datamatrix codes, optical characters, dates, and DLC etc. The laser system adapts to your cadences and to the stopping and restarting of your lines. With no consumables or maintenance, its operation is clean without ink deposits or solvent emissions. Benefit from a comprehensive, upgradeable workstation and save on design time and costs with a station for your laser. 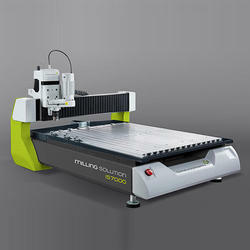 We are the principle Trader and Supplier of Laser WorkStation Series 2. 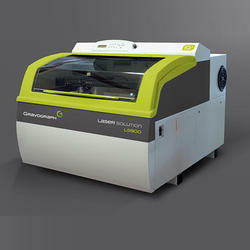 We are offering Laser Work Station Series 1 Engraving Machines to our clients. The development of custom engraving solutions includes all the stages and processes that allow you to move from industrial requirements to a functional and reliable laser solution. From project definition to incorporation of your needs and your organisation, from project specifications and features to prototype development, testing and rolling out: the Gravograph team is at your service. You'll appreciate the time and effort we've put into ensuring that your project is measured, suitable and delivered on time. Simple and robust, this laser marker is able to meet all your identification and traceability needs: serial numbers, text, datamatrix codes, symbols, logos, etc. "Cold" marking: very careful, the ideal solution for marking soft materials and sensitive components. Total connectivity: all the communication tools are natively available to communicate with your environment. Equipped with an extremely powerful stylus, the is able to mark any surface and any material. A solution adapted to strict industrial applications, its design allows accurate and very deep marking. Available in a pneumatic or electromagnetic version. An economical and easy-to-use marking column for identifying all your parts quickly. Software Integrated software. Controlled using the touch screen keypad. Attractive-looking and functional, it can be easily installed in your workshop or on the shop floor where your customers can watch their items engrave. 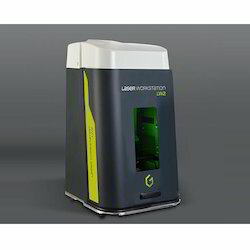 The Laser Workstation 1 is a simple and economical laser marking station. It can be safely installed in an office environment or on a workbench.Compact and silent, it's the ideal solution for the quick identification of parts in a small to medium-sized production run. The LW1 meets all your identification and traceability needs: series numbers, texts, data matrix codes, symbols and logos, etc. 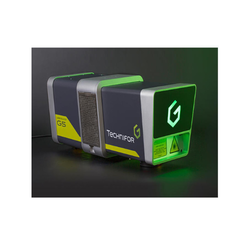 Available with Gravograph's complete laser technology -Fibre, DPSS, Green, and CO2- this station offers surface marking and deep marking. Lasertrace software comes as standard with each laser marking station. User intuitive and easy to use, Lasertrace allows you to create marking files in just a few clicks of a mouse. Developed by Gravograph and enhanced by its many practical experiences, it provides preceisely the functions required for identification and traceability. 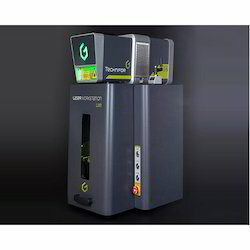 Once the files are sent to the control unit, your marking laser works as a stand-alone unit or can be connected to an automaton. Production mode: duplicate check, logfiles, data capture based on existing systems, file selection, etc. The Fiber Laser Engraving Machines are professional CO₂ engraving and cutting solutions. 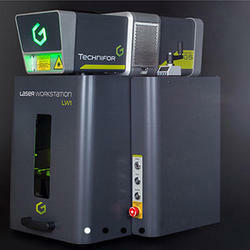 Versatile, efficient and compact, they combine the numerous benefits of CO₂ laser technology with Gravograph's complete know-how. 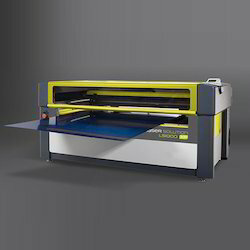 LS900 Energy - Large format, cost-effective laser engraving machine. 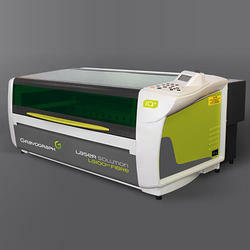 The Gravograph LS900 Energy is an advanced, large format laser engraving and cutting machine built for an entry-level budget. Compatible with wood, cardboard, plastic, acrylic, glass, rubber, leather, fabrics, anodized metals and more. Its low operating cost will allow you to create single projects or medium and large batch projects at a reduced hourly rate without mobilizing equipment with higher operating costs. We are offering Large Mechanical And Rotary Engraving Machine to our clients. 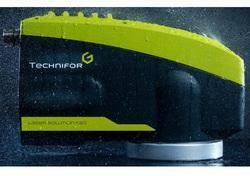 Gravograph's compact CO??? laser solutions bring you all the benefits of our technology. These solutions are mainly suitable for non-metallic materials and the large majority of plastics. CO??? laser technology provides an increased output and high-quality finish. 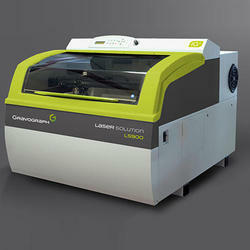 The large format CO² laser solution for cutting and engraving. 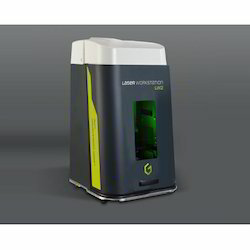 The LS1000XP by Gravograph combines numerous innovation functions and features into one unique solution aiming to reduce production times. Engraving Area 24'' x 24"
The LS900 is our large format engraving and cutting solution, perfect for reaching optimum productivity. Focale Protection Dual Protection Against Scratches and Deposits. Aluminium Protection Ring Against Shocks. 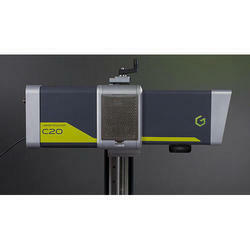 Fiber Laser Marking Machine performs precise marking in very short cycles. Ultra compact and communicative, it is the fiber solution for rapid and economic integration into any manufacturing process. Smaller than an A4 sheet of paper! On a line or a robotic arm, it is simple to install in all positions. Powerful and excellent quality, it performs precise marking in very short cycles. Ultra compact and communicative, it is the fibre solution for rapid and economic integration into any manufacturing process. Looking for Laser Marking Machine ?